In a January 31, 2013 decision in the case of Hoy v. Holmes, No. S-57-12, 107 Sch.L.R. 19 (C.P. Schuylkill Co. 2013 Domalakes, J. ), Judge John E. Domalakes addressed a Defendant's Motion to Compel access to a Plaintiff's social media sites, including Facebook, in a motor vehicle accident case. Finding no factual predicate presented to allow for access to the Plaintiff's private pages on social media sites, the court denied the motion to compel without prejudice to the Defendant's right to present the motion again if a factual predicate was established. (3) Material located on one's private pages of a social media profile are discoverable upon a showing of a factual predicate suggesting that allowing discovery of the private profile will lead to relevant information. If no such factual predicate is established, discovery of the private pages will not be allowed. Judge Domalakes' opinion in Hoy provides a thorough update on the current status of the law and confirms the lack of any appellate authority up through the issuance of this decision on January 31, 2013. Anyone desiring a copy of Hoy v. Holmes may click this LINK. I send thanks to Attorney J.T. Herber III of the Pottsville law firm of Williamson, Friedberg & Jones LLC for providing me with a copy of this decision. 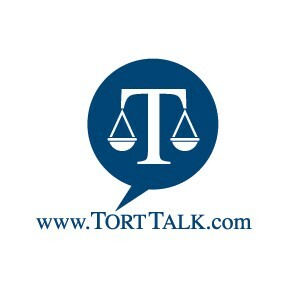 I will update the Tort Talk Facebook Discovery Scorecard which can always be accessed by going to Tort Talk at www.TortTalk.com and scrolling down the right hand column and clicking on the date noted under "Facebook Discovery Scorecard." For now, here's a shortcut LINK to that Scorecard. Please let me know if you hear of any other Facebook Discovery decisions.